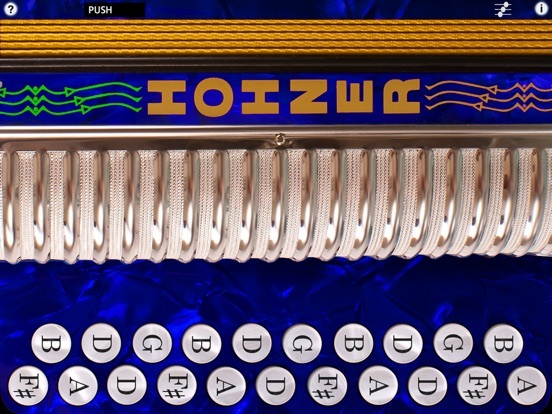 Matching the layout of Hohner's iconic Double-Ray Black-Dot diatonic accordion, this intuitive virtual instrument features a super responsive fingerboard that plays and sounds like the traditional instrument in the most common two-row tunings of B/C, C#/D, and D/G, as well as an extended B/C+ layout with four chromatic buttons on a partial third row. 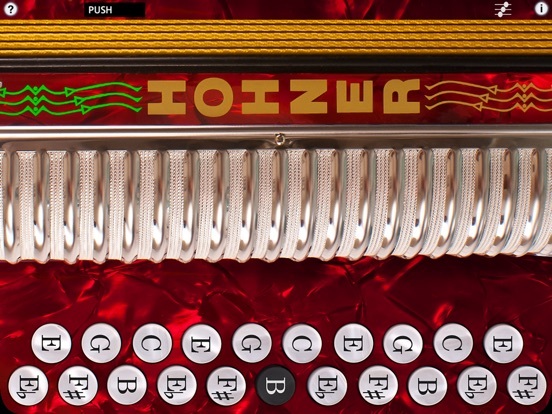 Touch the sliders icon at the upper right side of the screen to bring up the controls where you can select the tuning (B/C, B/C+, C#/D, or D/G), and control the volume and reverb settings. 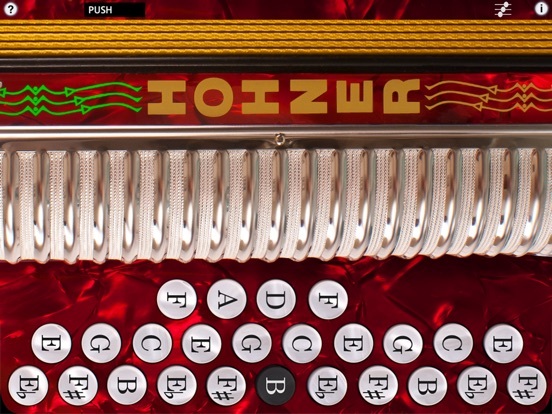 MIDI Control: The instrument may be played via MIDI from a MIDI keyboard or other MIDI file player or controller apps. 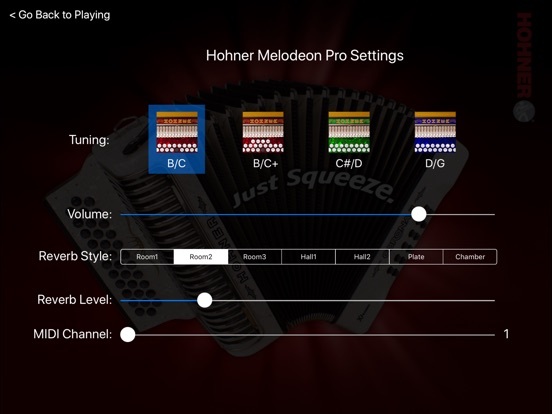 First launch the Hohner Melodeon Pro app, then choose "HohnerMelodeon" as the destination sound module in the CoreMIDI settings of other apps. Set the MIDI channel using the "MIDI Channel" slider on the controls page. Lowest note is G3 (MIDI Note 55) Range is G3 through E6. Touch the "?" 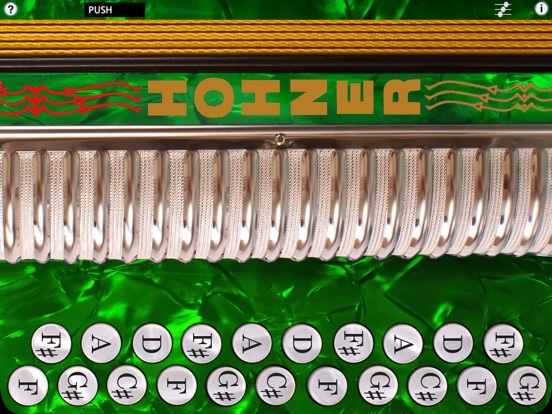 to toggle the note names On/Off. All settings are saved when you exit the app and restored the next time it is run.